My new/old cup! I had one years ago. I found this one in a little thrift shop in Bisbee, AZ. The cup is just the size of a newborn baby’s bottom and the little feet..! I am to be a grandmother in March and this is something to hold onto while I’m so far away. Bless you, my son and daughter-out-law. May every pleasure you desire be yours! Aho and ahey…. we are on the way to the Peace that has been Promised. from a gown she once made for me. Broken Arrow joined Her there! Of this world – and not. We take off, together, into the Light. 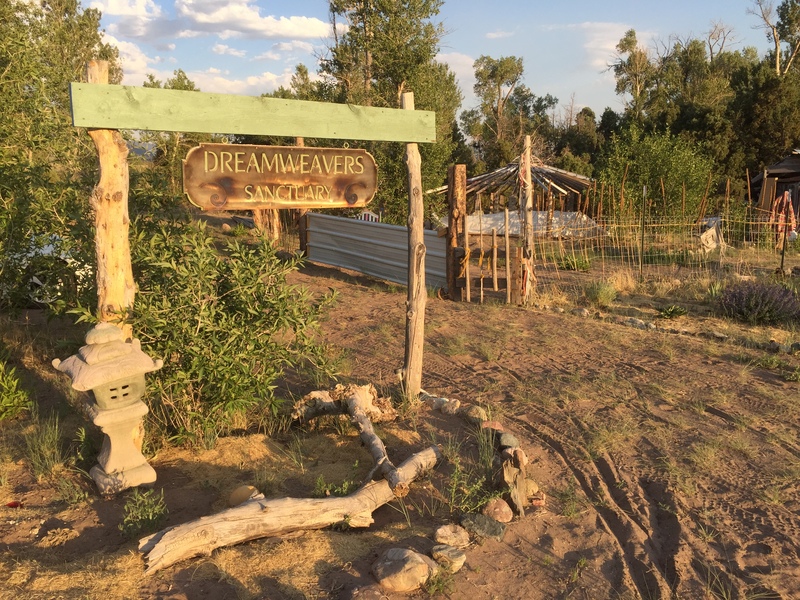 The Dreamweavers Sanctuary (the Crestone, Baca Grande property at 454 Heatherbrae Road) is actively facilitating the birth of U-Ma, and I thank everyone there from the bottom of my heart! Returning from my road-trip north (“home” to Kamloops and further north to Haida Gwaii, BC, Canada) I am feeling into “the unknowing” of what U-Ma is destined to be. Hints from Spirit seemed embodied in people drawn during that special time to this special location; their skills, dreams and desires. They (and you?) have their own visions of what will arise… we are weaving our dreams into a future that holds us all, healed and whole! In U-Ma, I feel we are co-creating something new, unique in all existence; something needed that has never been needed before… What is it? I feel that by defining it we confine it—limit it—so we imagine it and speak of its form and purpose, as we each conceptualize it, while honouring the notion that it is being designed by Spirit. Together, we’re trying to figure out what that is—kind of like Spiritual Pictionary! Our name – Is it a Retreat we want? Or… a Sanctuary? Lori and I talked about how U-Ma could be an acronym: Universal Mother Assembly, or U-MaSS (U @ Mass Power or Universal Mother Sanctuary System). What do you think? We can decide together on a call! Let’s have some fun! 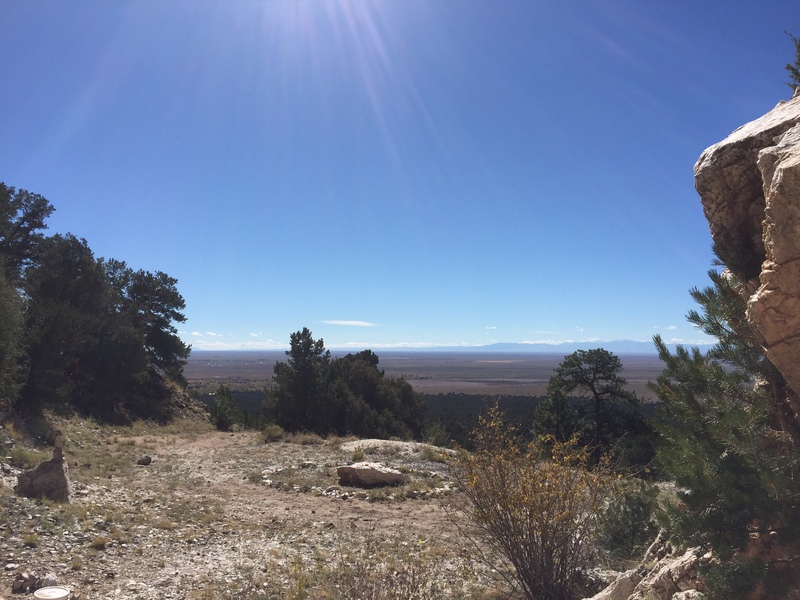 I envision a lacework of places with healers pulsing through it — the U-Ma Sanctuary System… Cortez, Crestone, Taos, Arizona, Mexico, Canada… the globe… bringing healing to people where they live. The Traveling Shamans may be good to align with! Suggestions from Willow Coyle, the cob-house builder (see below), for our FB ‘About’ presentation were gratefully accepted. Also to make a short video to generate interest. She’s given me a list of documents to help us set up properly and I’m working on them. Please, if you’re inspired in some way, I’d love to co-create. The day after I arrived at Dreamweavers, Willow came. She had been part of a free school for cob-building. She’s young, knowledgeable, willing, interested, can manage a worksite and a class, and is very capable in the kitchen! Style and beauty—ok, I like her. 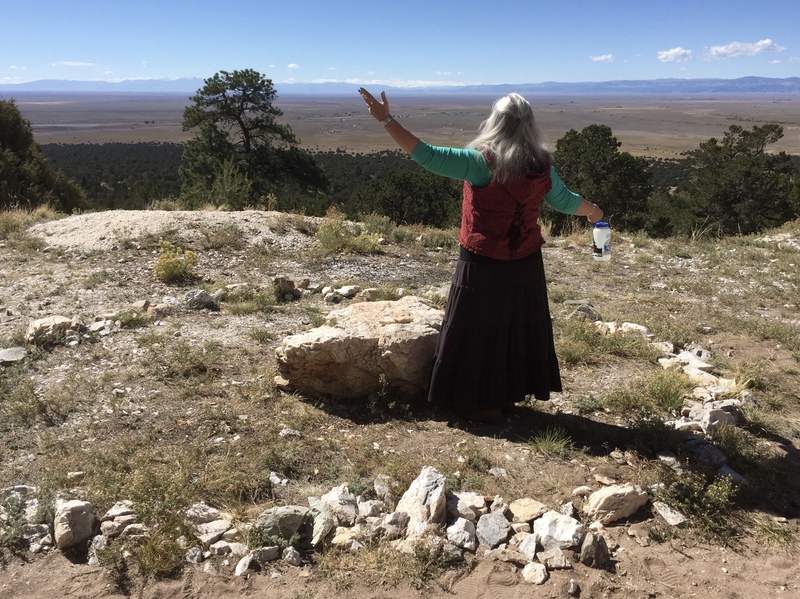 She is interested in adding her skills, imagination and wisdom in the Spring to what’s being dreamed up for U-Ma on the Alamosa property. 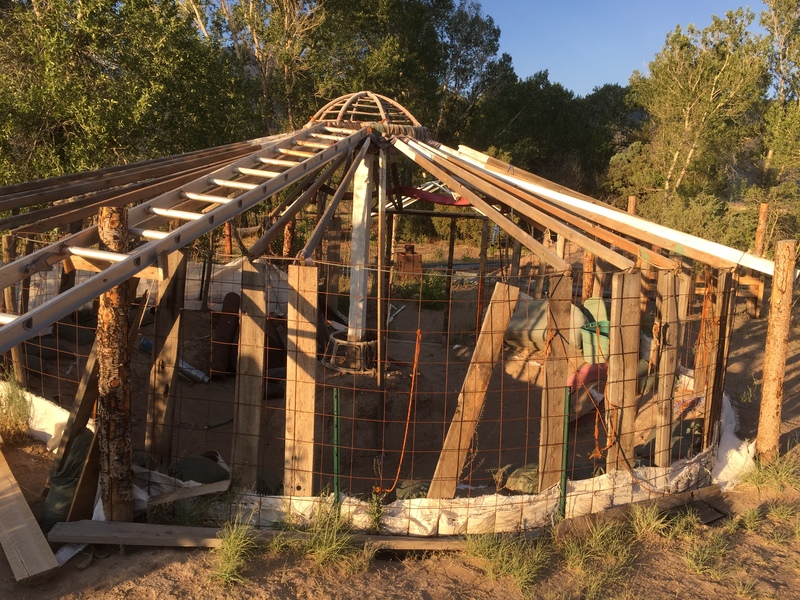 Before she left to rejoin her partner she toured our current project, the yurt at the Dreamweaver Sanctuary. It began as a beautiful Afghan style yurt lined with fine fabrics but over the years it deteriorated, collapsing 3 years ago. When I first saw it, it was just a hole in the ground with posts. While I was gone north for the summer (to meet my son and Mom‘s and my pilgrimage to her birthplace, Haida Gwaii) it got a tin roof! 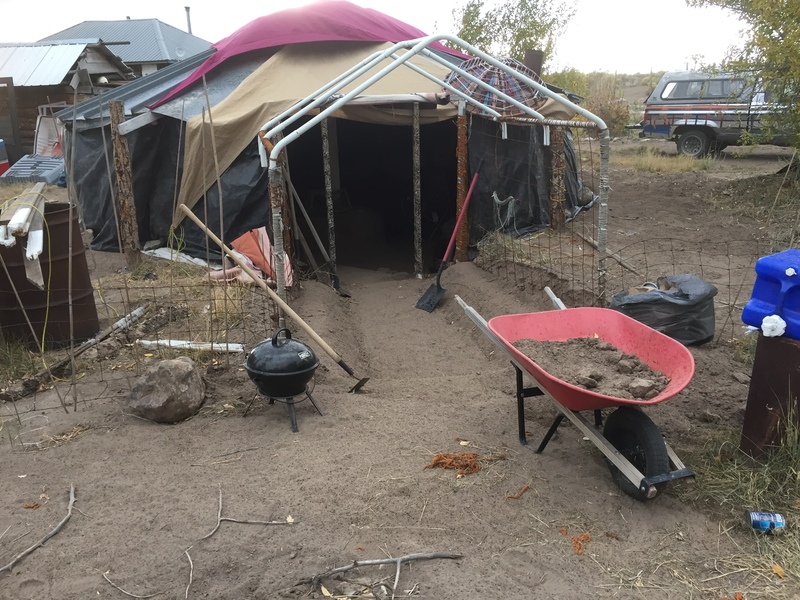 David may live in/around the yurt this winter, using Dreamweavers’ outside kitchen. Lantz has returned to Texas to visit family, and expects to return. Like me, he is a believer in doing “the next right thing” so hasn’t firm plans. He is considering Jodi’s offer to create a community gathering/cafe on her Taos land. 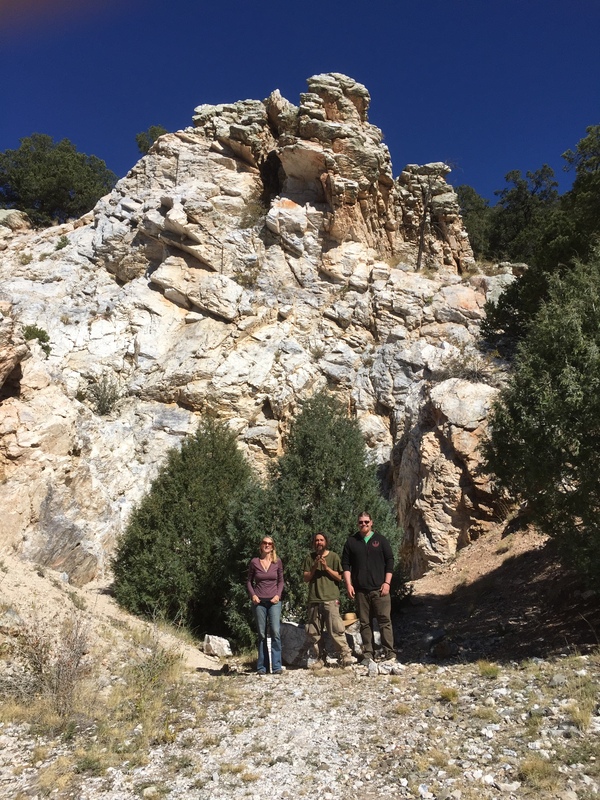 We had quite the adventure the day we went to the mountain to gather cryolite! Buried around the base of the yurt, it is to add a special quality to it. According to an online source: cryolite is a highly spiritual, high-vibrational stone that resonates in all chakras. It is said to bring the crown, heart, and third eye chakras into alignment and harmony enabling a deep connection to Spirit and the higher realms. And then we walked even further up… to a white monolith standing bright against the blue sky, and the beige and grey stone, and the dark green of the trees… a mother-lode of cryolite! Before taking any stones, we gathered for ceremony, asking and giving thanks for four buckets of beautiful rocks that stretched the arms of Willow and our temple-builders a few inches! to bless us and our mission. The budget for the yurt/Temple is minimal. The end result, unfocused as yet, is to be worthy of U-Ma / the Divine Feminine; a place where we can meet together to dream Spirit dreams and express our eternal adoration of our beautiful home, Mother Earth… and so we are accepting gifts of suitable materials, skills and resources. Can you help? 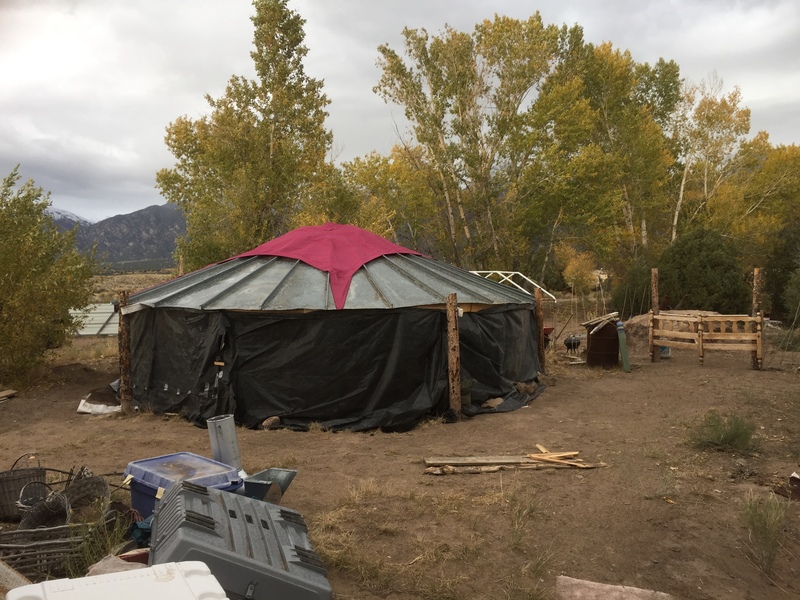 Impending cold weather encourages quick work to help the yurt hold heat! The wood-stove is connected and the firewood cut. The skies have been a brilliant blue for awhile; clouds from hurricanes south of us are gone… and snow is in the forecast! 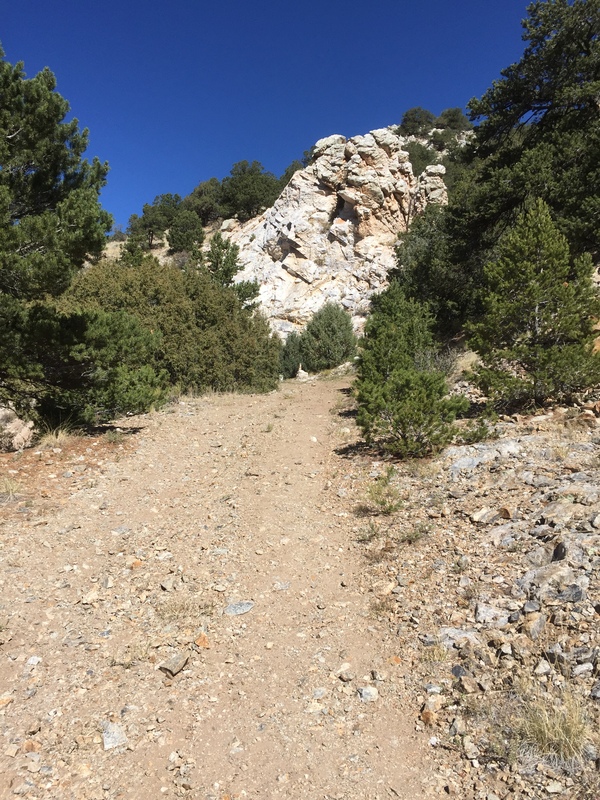 Back in May of this year I was in Kamloops – and stuck, uninspired and undirected. I sought guidance from my rune reader. As I walked in, the first thing he says is: “So, when are you leaving?” I told him I hadn’t really thought about it and he said, “The land is calling you!” He described a very high plateau ringed by mountains, some of which have snow all year long. It reminded me of Cortez, Colorado, where I had stayed with my treasured friends, Mary and LionFire, both shaman extraordinaire. Anything I say about them seems pale; their brilliance shines clear and bright. Skipping over stories here but, basically, I arrived, talked to Jodi and moved in. Star had prepared my room beautifully and it wasn’t long till I was settled and Jodi and I became friends. Next day, Lori arrived… was it really that soon? OMG, the drama that happened with the youngsters! What a turmoil. And then Lori arrives with her two lovely little dogs (What kind are they, Lori? Let’s hear your side of the story!) Along with BaaBaa, the standard poodle, and Black Wolf (yes, he is) and the cats – well, it was a lively place there for awhile! Dewei, the resident Buddhist monk, often does an online meditation (@ 7&7) so a thread of peace runs through it, and there was little push to do anything (too hot!) 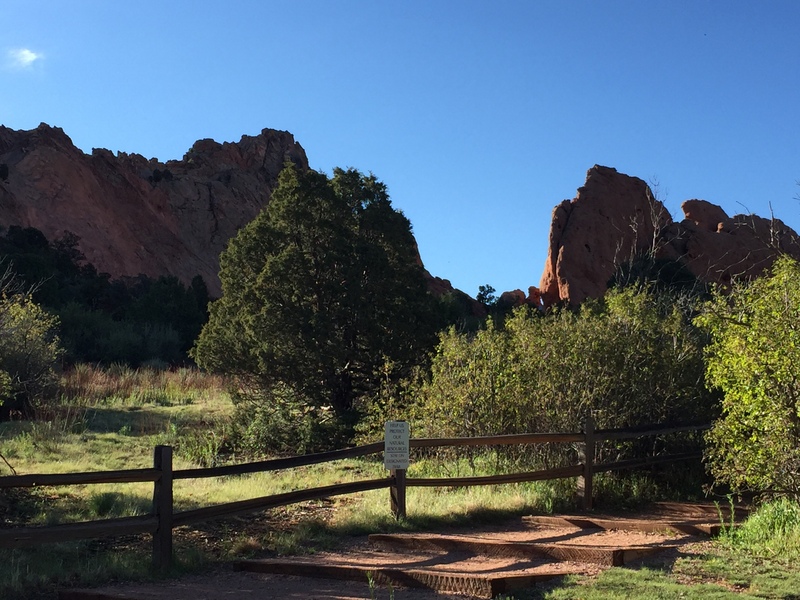 other than prepare spaces for a group coming for a retreat. We took many opportunities to just sit together, do ceremony, laugh and dream. Jodi told me about a piece of property she’s been paying taxes on down on the flats… Jodi’s got that story, and more will come. their need to help people! Because that’s what it is… it is a soul-deep need and we cannot turn away. the people best able to help in this new, confusing and challenging time. Time for another one! It seems that the time has come for that something to come into the light. I’ve always thought of myself as rather ordinary but things conspired to make me into a rather interesting person with a bunch of very interesting stories. They knock me out. Magic in Ordinary Moments (M.O.M.) If they hadn’t happen to me, I don’t know if I could believe them, but they brought me to now… and I learned a lot. The road reminds me of Highway 1, down the Pacific Coast. Windy (the adjective!) road; lots of deep curves and turns that open to beautiful vistas; narrow, blind and a totally engaging in-the-moment experience for the driver (JJ!) and completely enthralling to all passengers (me, and All Those who travel with me, though unseen)(You!? We are One! We just have to figure out this telepathy thing and SO much will become unnecessary and obsolete. Will lying become obsolete? Unnecessary? Oh, make it so…) Enough prayer! I’m for a bit of gratitude; how about you? Me first, and then Spirit will listen to yours, k? I’m grateful for the sun on my face and the ability to find shade; blessed be the trees! I am grateful for the wind in my hair; blessed be those who donated the sari scarves that decorate our campsite and keep me hopping because the wind blows them from the trees that give me shade from the sun that baked me well done yesterday, and today not so much… there are puffy white clouds and darker grey ones. And there was a drop on my arm as if Mother Nature is warning me that more may come. We’re saying prayers that it stays dry so the sage that I’ve hung up will dry in time for the opening ceremony. I’ve become the Sage Elder at this festival. While I’ve been part of festivals before, this is the first time I’ve been encouraged to do the work I’m passionate about; to get involved with the people doing ceremony. This makes my soul sing! Back when I was in Kamloops I said to an online private group of women professing to be going deep that I sought something deeper… having the opportunity to do what inspires me brings an element of clarity to the experiences I’ve had. This kind of tumultuous life is to be expected when you choose to give your life to Spirit–all the good, along with the challenges that spice things up. For me, my choice was made when I was 15, my promise given. I’ve waited a long time for that promise to be called in. I’ve lived, worked, wandered and wondered, searching for the answers without knowing the question; I’ve stumbled, fallen, got up, fallen, lay down and surrendered; and I have transformed (more than once!) – the path is before me. 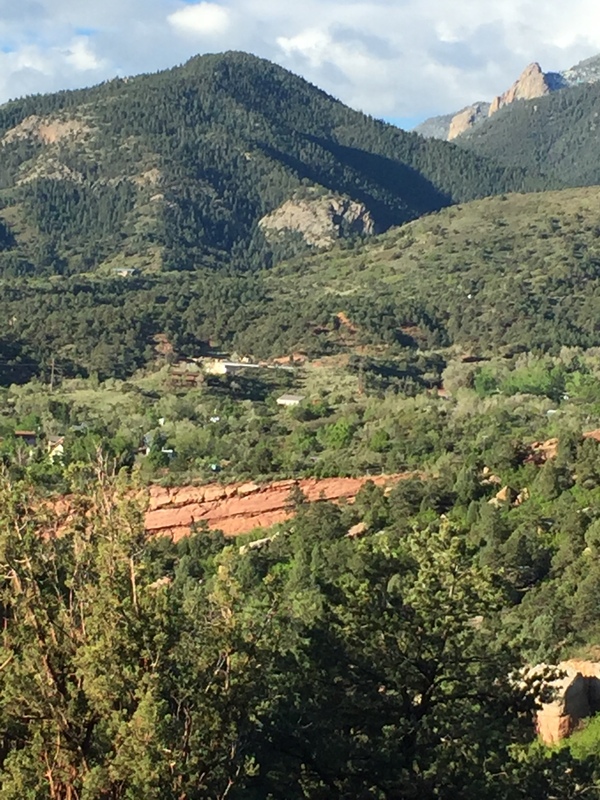 Going through the Rockies today, after a night on the side of a mountain overlooking Manitou Springs, Co, at the Garden of the Gods. 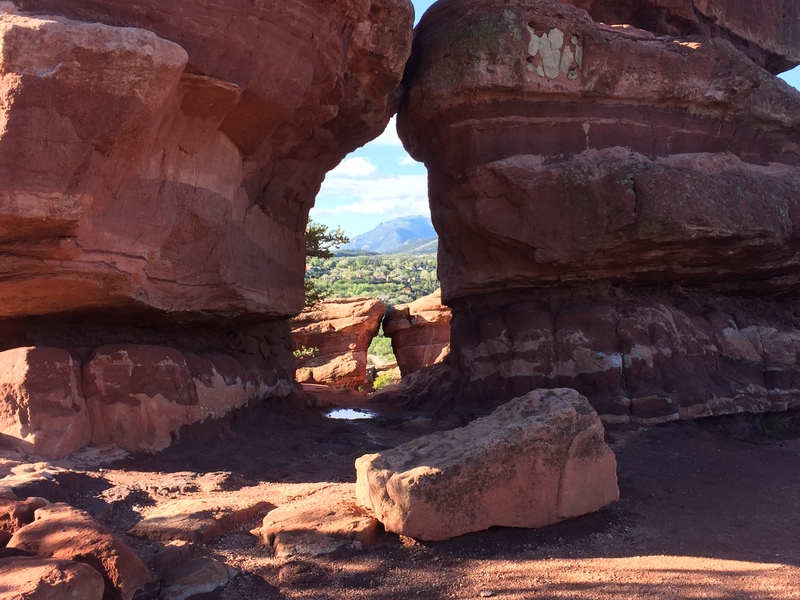 We’ve seen amazing scenery and missed some fabulous photos — and we got some too! You’ll see.. Enough of that! I’m for a bit of gratitude now, how about you? Me first, and then Spirit will listen to yours, k? I’m grateful for the sun on my face and the ability to find shade; blessed be the trees! I am grateful for the wind in my hair; blessed be those who donated the sari shawls that decorate our campsite and keep me hopping because the wind blows them from the trees that give me shade from the sun that baked me well yesterday and today, not so much… there are puffy white clouds and darker grey ones. And there, just now was a drop on my arm as if Mother Nature is warning me that more may come. We’re saying prayers that it stays dry so the sage that I’ve hung up will dry in time for the opening ceremony. I’ve become the Sage Elder at this festival. It is the first time I’ve been encouraged to do the work I’m passionate about; to get involved with the people doing ceremony and those organizing stuff. This makes my soul sing! Oh right – back to it… I’m grateful for the fire last night that was the beacon that brought JJ to me, in the dark, with a light to show me the fire that he had been waiting for me at. I didn’t know there was more than one, and I got a hot sweet milk-tea. It was wonderful; I was invited by the youngest of the current troupe – today she turns 6! And her birthday party will be under the dome with the pink flower on it (it’s amazing how flowerlike a parachute can be! Back when I was in Kamloops I said I sought something deeper… having the opportunity to do what inspires me brings an element of clarity to the experiences I’ve had in the past 5 years. This is what can happen if you give your life to Spirit. My choice was made back when I was 15. I’ve waited a long time to be activated. I have transformed and the path is before me. Pththth!! Too bad you’re there. This is awesome! 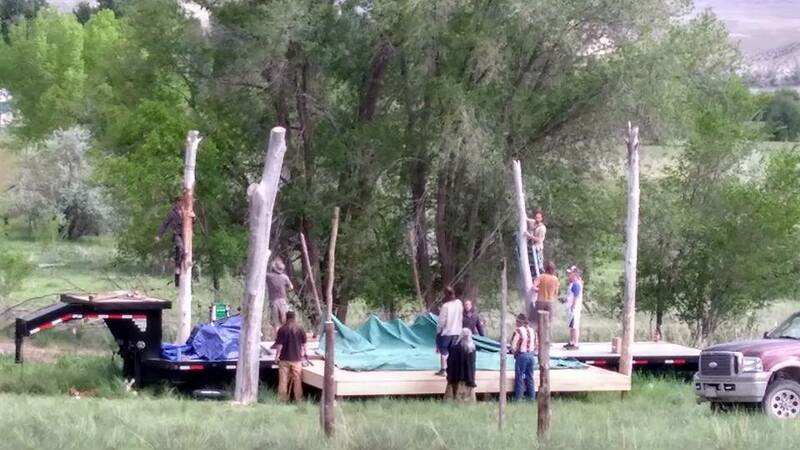 I’m harvesting sage and helping in ceremonies. JJ whacked a lot of weeds yesterday; I gave the organizer, Jessica Joy, a reading and helped serve dinner. While I got our kitchen organized, JJ helped make the Big outdoor kitchen. It blew down in a squall we just had. I had just got up and strolled over… nah, gotta write it once, in the blog… thanks anyway. 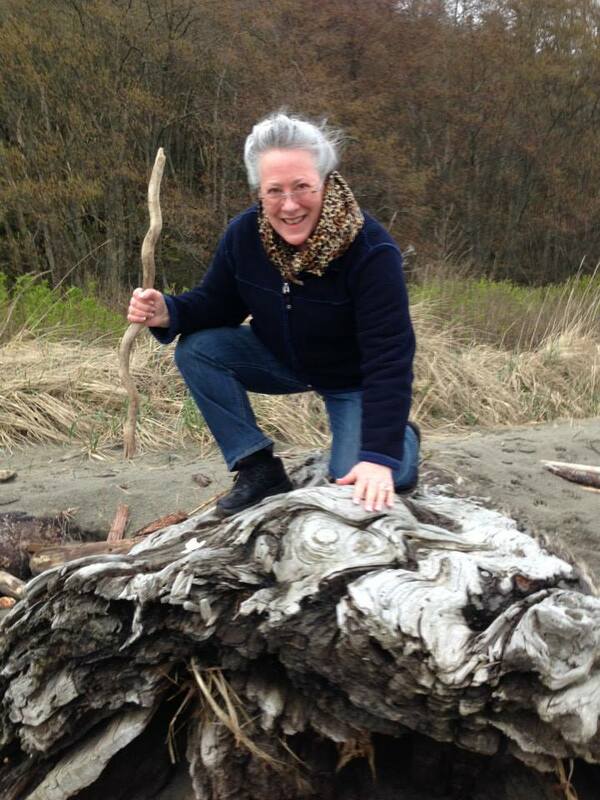 So, here we are… Let me tell you, it is so exciting and emergent and challenging and amazingly beautiful and the amazingly beautiful people that we meet are so synchronistically placed in our lives – Jessica Joy (JJ) is the coordinator for the Festival! There’s a guy who works an hour outside of my hometown, Kamloops, BC!! These people know and have been practicing the tenets of living that we’ve been talking about/working with for the past year in Rotterdam at the Synergy Hub. It is so nice to see the festival taking shape and being able to know these lovely young people as we go into the weekend. It is so deeply comforting and reassuring that we are welcome and desired, as elders, to be a special part of these festivities. 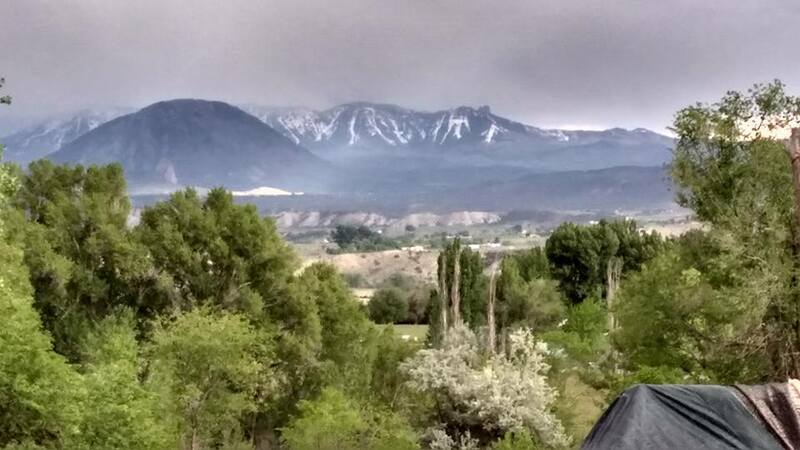 Castle Rock, in the rain, driving at speed down the Highway – yes, I was in the passenger seat! And that’s what I would usually edit out – that rambling digression completely diverging from the point of the piece, which I have now forgotten, so I’m going to review… brb (be right back). I’m back. I put in a missing parenthesis and held myself back from changing anything else. I’m allowing the challenge to help me create a new way – that’s what i believe needs to happen. This is, I imagine, a “welcome to my brainstream” style and I’m just going to let it happen… let’s find out together! Uh oh… where was I?! Hahaha! Ah yes, the van… I would prefer to forget it. Except I need it to do the things that I want to do. There’s important stuff that I have to do (and I almost stopped myself from saying that – it’s not “right” to think that way, but what if it’s true?) and I’ve had the evidence clearly provided. I’m not going to go into that right now; just wanted to be clear up front – I am a spiritual woman with a mission. 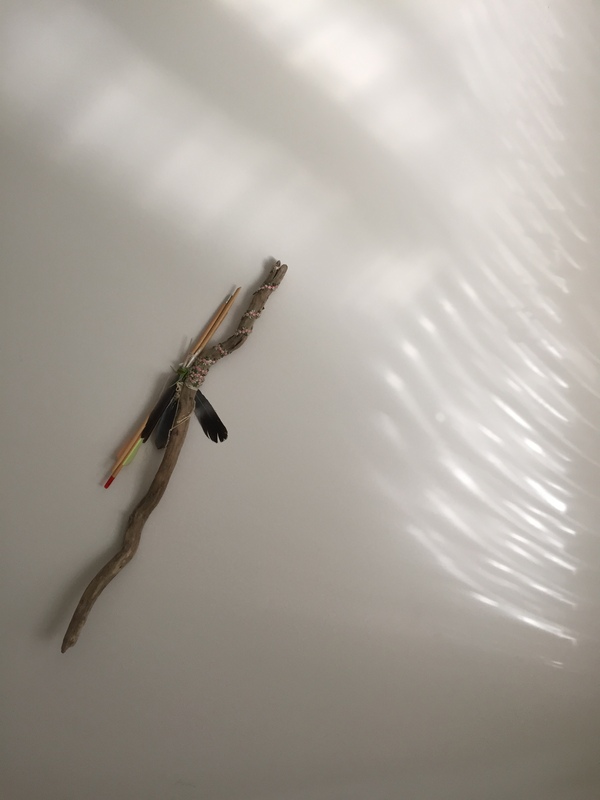 I have been convinced by Spirit despite being a well trained member of the Rat Race, having survived 40 years slaving away in cubical hell – and I play with that term… taking myself away from the flow of the document, my speaking to you, to play with words. I like to do that. It’s one of the things that gives me pleasure. I like to help others find the right words too. Editing others’ documents is one of my favourite ways of learning about something, or someone. Another way of learning about someone is to spend a huge amount of time together. That’s what’s happening to JJ and I. I’m very happy with the speed with which we are learning each other’s ways and how to “play within the rules”, respecting the other’s idiosyncrasies. We are enduring this challenge with good humour, for the most part. We are both feeling very vulnerable and stressed by scarcity and imagined outcomes. My solution is this – writing/ talking to you (JJ’s not much of a conversationalist; he listens really well but not when he’s driving, sleeping, etc.). I started playing Gummy Drop but found it empty, still and again. I think back to a Private Group in FaceBook (FB), that professed to be about going “deep” as women, in which I stated that I wanted something deeper… I found some very deep stuff in Rotterdam and deep people online in the last 5 years. You’ll hear about it and them. You’ll also hear about my life before then – lots happened and, the way I remember it, it’s amazing how it all brought me to here, now. And that’s something else I do – slide into some wisdom that arises out of my stream of thought. I’ve learned a whole lot about a whole lot of things but never enough to do anything with it except maybe give you a taste so you’ll go find out for yourself what is the truth for you. That’s something else I do – slide into sharing some wise words that spring from my stream of thought. I’ve learned a lot about a whole lot of things, maybe so I could give you a taste, open up tracks to those trains of thought so maybe you’ll go find out for yourself what is your truth. Well, what do you think? Which is the better version? You don’t have to answer; I’ll just rattle on, opening up those tracks, but if you’d like to respond, it’ll be a lot more fun. Everything is better now – it seems the van’s repairs just need to be written up and we can be on our way… crisis endured successfully. And I have a sweet lovely coffee! Blessed be… let’s hope this time the van is fixed for good and we’re on our way south. They have been kind in their manner, apologetic in their demeanour and helpful in picking us up. I wonder if the electrical issue caused the fuel pump to fail in the first place… I suppose it really doesn’t matter… It didn’t/wouldn’t work when it was tested so needed to be replaced in any case… Going forward…! We are! (Oh lovely, a toll road.) Wenda is wonderful and waiting… no, not waiting – she’s up to her ears in crises of her own, but she holds packages that I need and a hug, that I also need. This has been a challenging time for both of us. Great comfort is present in a good hug. The First Leg – Pulled Hard! Sitting in the lap of Mother Earth in the sunshine, I look out over the remnants of a forest, a tangle between the path and the lake. The hillside is so steep I almost slide off the long dry grass. Two kayakers just glided silently by, guiding their craft between the plastic orange balls anchored in place for who knows what reason. Across the lake, children play at bocci with their dad. Mostly, there’s a soft laughing of the trees in the breeze, a crow calls, someone shuts a car door – you’d be amazed at how well sound carries across water! The water is silver-over-green; evergreen and grass green, a reflection of the forest and the lawn where the kids are playing. Logs are strewn across the hillside like pick-up-stix and the birds are singing. A squirrel chatters and a tattered Canadian flag waves weakly over a sign on a snag in the water that says who-knows-what… There’s new little trees growing; a ponderosa and some fir, some spindly spruce. It’s peaceful; a pair of Canada geese drift by and a wren is busy in the weeds. These moments are a gift far past any ability to put a price on or provide appropriate compensation. I’m here to say: amazing people exist on this planet. Beautiful children. Generous women. Gentle men. There are also many who are blind to true beauty. Many who aren’t seen because of their lack of beauty. Some people look past the visible and see the inside of people; they see the real beauty, and the hurt and the need. Some people give and give, doing their utmost, their hummingbird effort, to meet the needs they can/see. Honey is such a person. Her privacy is important to me so I won’t use her real name. She wonders at the things I say and smiles and ruffles the ears of her beautiful old dog. We walked the lake together; did qigong. She crochets and watches TV during her few hours of downtime. Otherwise, she is driving and swimming and reading and helping all sorts of people challenged in one way or another. I guess we were in need too, though I didn’t think of it that way. She didn’t make me feel that way either. She made me welcome and comfortable, and gave us a key! Bless her a million times; it was a long time since that kind of release. There was also a different kind of release going on… my magical car, my PT Cruiser, has been traded in! 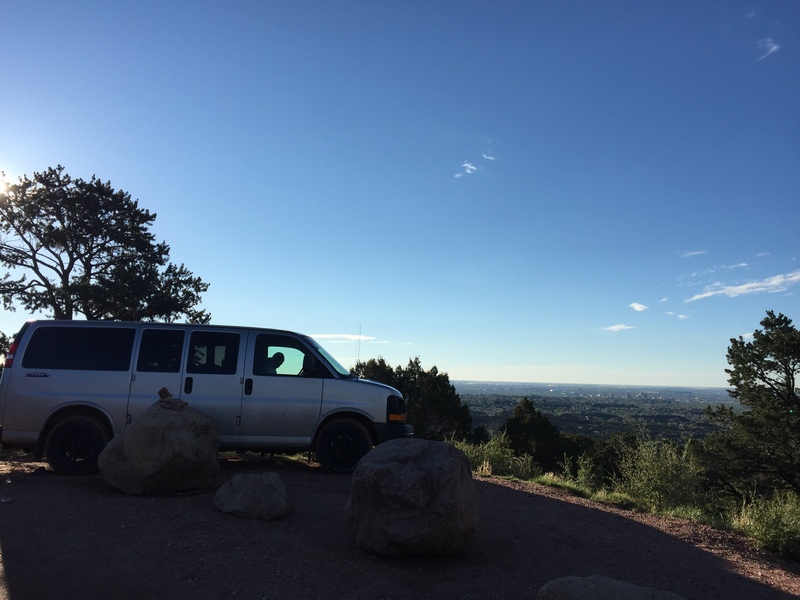 Our new ride is a Chevy Van (there’s a song!) When I got the PT Cruiser I had a rune reading from my friend Alexx who works out of The Golden Buddha in Kamloops, BC. I had another before making this decision – he said I would have “an opportunity” and not to miss it because it wouldn’t be offered again. I had no idea what he was talking about at the time. Later, it seemed perfect and helped make the final decision. It seats 8 &/or holds all we need for camping between festivals or sites. JJ is driving and we intend to meet up with Rob in June, somewhere. We met in Rotterdam at Synergy Hub 1 where we dreamed of taking the Hub on the road… Now we’re doing it! I’m sorry we didn’t say (get to do the tearful!) goodbye… It was good – sometimes it’s best to just rip the bandage off! Talking about that – the bandage worked very well and I now have a new nail! Shirley found 10 minutes for me and all 10 look the same again. Good thing I know all these lovely people – thanks to you for that connection! You should see this place… every one of them (oh, except maybe 1 couple out of 50 people) is OLD! So this is where old people go for breakfast! (Here we are!) I hope to get even better at one-on-one connection with people in the real world; being in Synergy Hub 1.0 in Rotterdam gave me a sheltered place to be – it’s different out here in the “real” world. I feel like I’m missing opportunities, but I will not make me wrong. I know I’m presented with these challenges as ways to learn… I just have to (want to) learn gently! I’ve been thinking about doing ceremony for awhile. It was easy when we were at the lake but camping in the rain has put a damper on things. I’m not as ready for weather as I expect our ancestors were. Stopping at a secondhand dealer to augment my wardrobe seems indicated – I need more fleece! …and so it degenerates into another discussion of the inadequacies of now – actually wanted to comment on opening the iPad this morning at exactly 7:00am. I’ve been having a lot of that… 1:11 and 3:45. I told JJ it’s like a reassurance that Spirit is with me. …Maybe if I start packing up, JJ will join me. I’ll offer to drive so he can sleep and that may help… I’m getting cold now too, along with urging from my body that going would be good! Time to find some clothes! JJ wants to sleep. I started packing up but he yells that if I keep making noise, he can’t sleep. I offer to let him sleep while I drive. He said he wouldn’t because he knows I didn’t sleep either. I’m cold. I don’t feel like “wasting” my power on this – iPad power, I mean. OTOH, I have a charger and the van has a good battery (maybe). Driving south, I wanted to capture the progression of flora – from the suede hills of home, Kamloops BC, on Highway 97 – sagebrush hillsides dotted with spindly white-blossomed saskatoon bushes and the brilliant yellow of balsam and dandelions. The brown centre and big soft green leaves of the balsam don’t have the impact of dandelions, but there are enough of both to be uplifting and eye catching. Under the ranks of bare fruit trees (all pruned to the same height) are rows and rows of dandelions. There was one field we passed, so quickly I could barely focus on it, that had not been made into rows – perhaps it was an organic field, hand-tended with love. It was a grid of bare trees, like black stitches in a patchwork quilt of grass-green dotted with yellow sparkles! There were no little dandelion puffballs, the timepieces of children of all ages, until we got across the border. South of the Canada/USA border the orchards continued until the forests of Wenatchee National Park. The ponderosas reminded me of our mountains back home before the pine beetles had their way with our beautiful trees. As we left the National Forest and emerged into the valley itself, along with the balsam and dandelions scattered throughout, there are small white and mauve mounds, with a light dusting of tiny white flowers overall, like icing sugar blown gently across the landscape. Further south, the flowers have stopped and grasslands spread out around us, with sheep and cattle, and antelope! but mostly just empty land. The rain has caught us – a bank of clouds from east to west! Drops hit like hailstones and sheets of water erupt from under the wheels of 18 wheelers, RVs and cars alike. I’m glad we are as heavy as we are or we could hydroplane at these speeds! We saw only one speeder pulled over by the highway patrol. JJ mentioned that we hadn’t seen any in Canada, nor in the Netherlands, Belgium, Germany….! And even more south we’re out of the rain finally – and I see on one side, far away, sunshine on mountain snow; tall pointy mountains – and on the other side, far away; similar mountains with sunshine sparkling on the snow, brilliant white against the dark grey of the skies. 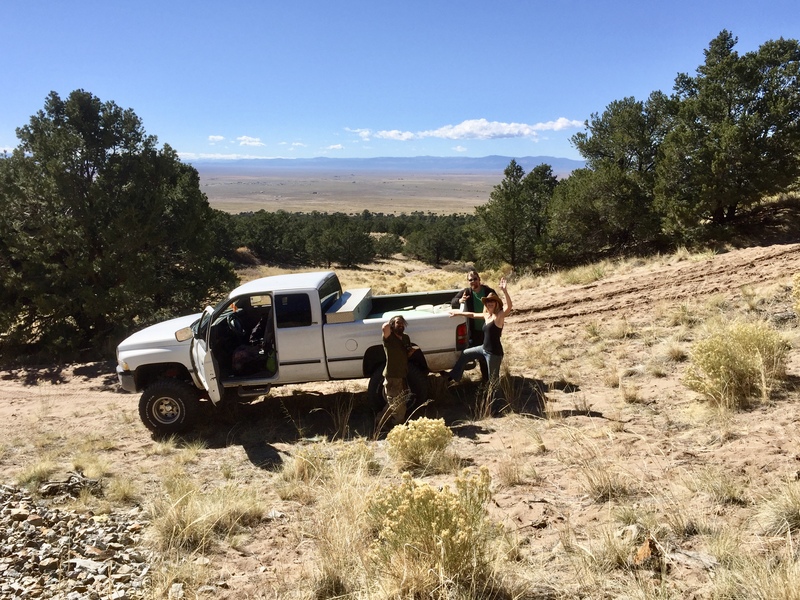 We ride in the foothills, the sagebrush grasslands created by foregone ice-flows between two mountain ranges. Ok, almost into Idaho and now it IS hail! Along with big raindrops – and the windmills go steadily around and around, spreading their arms across rolling green hills studded with more brilliant balsam. The white (saskatoon) bushes have also reappeared, and bigger than ever! I’m banging my head against the wall! Internet access is the hardest thing to maintain! Have I ever got my hat off to those who travel and maintain a blog. How do they do it? Oh… no internet! I would but I CAN’T Google that. Pththth! 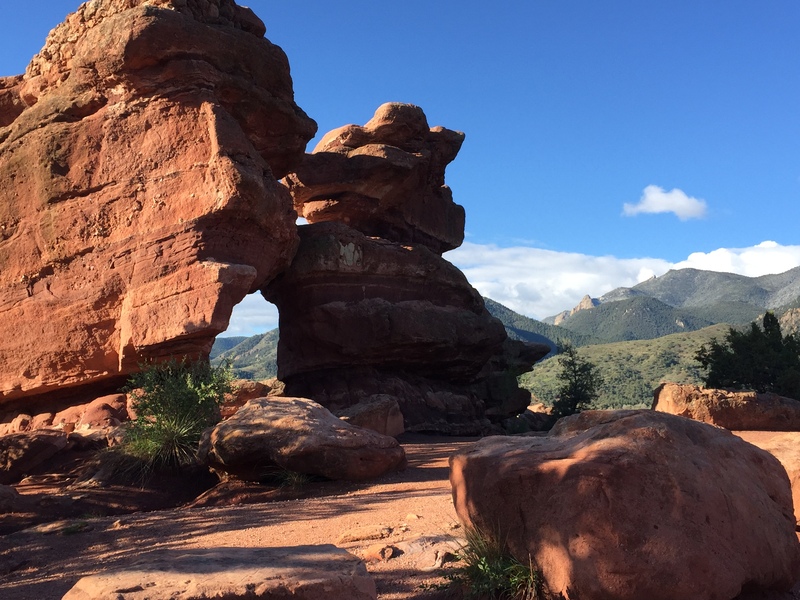 Adventures… yeah, you could call them that. My visa card was declined by a machine at the Garden of Eden Truck Stop; my PIN wouldn’t work for the 3rd time (put in by the helpful attendant who really should not have had his fingers anywhere near). No gas; no credit card; debit card won’t work in the US. I told him he had guests for the night and I’d see them in the morning! After filling up JJ suggested we go up and see the Sawtooth National Forest, perhaps camp, but at least he would make me a meal. Well, the meal was great but with a couple of feet of snow still lingering in places, we decided to backtrack and we’re off again on the 84! Hoping to escape all the snow and rain, though we noticed that the Sawtooth National Forest extends down into Utah and we may end up at the other end – hopefully more the lakeside campsite JJ has in mind! 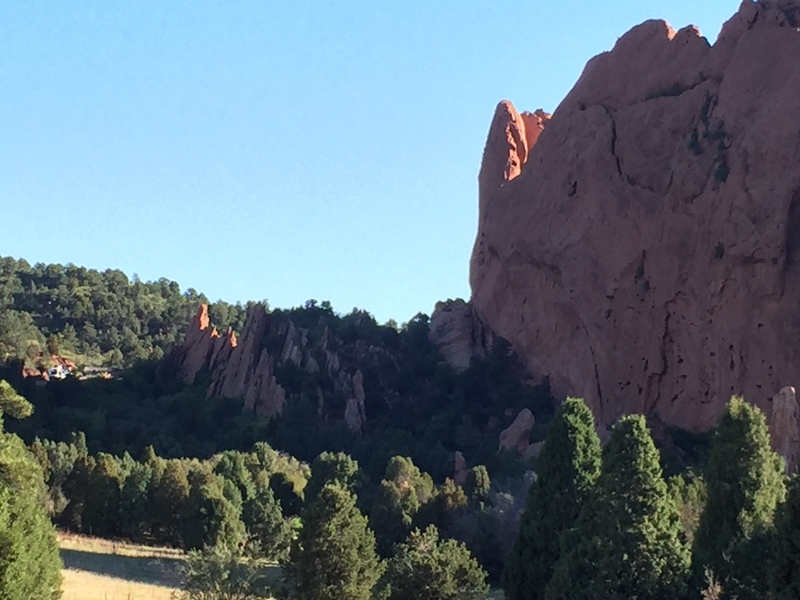 Colorado greeted us with red rocks and a red road! There are so many antelope that Dad would be happy to see them. There was one vista that caught my breath in my throat and brought tears to my eyes – I thought Do we have to sacrifice such beauty for peace? The tears fell as the scene fell behind, with snowy mountains far in the distance, background for the rangeland of ridges and washes of rounded rocks underscored by sagebrush and black cattle on green fields. So that could be the last of the travelogues I’m going to do… things have gotten rather interesting and now some decisions have to be made – the van has broken down; various other issues have resulted in the need and opportunity for a bit of a rest while we wait for news of how much repairs are going to cost – $515 just to assess the problem. OK, Spirit, what is the purpose of this?